It's getting close to Christmas and there's magic in the air . . .
Can you spot the cheeky gremlins hiding in the Christmas tree or scoffing all the turkey? And is that a gremlin bottom blocking Santa's way down the chimney? Lift the flaps to find them all! Those cheeky gremlins are back to cause more mischief in this madcap Christmas adventure from the creators of School Gremlins and Supermarket Gremlins. This rhyming Christmas story from Adam and Charlotte Guillain is packed with silly humour and perfectly matched with Chris Chatterton's joyous artwork. 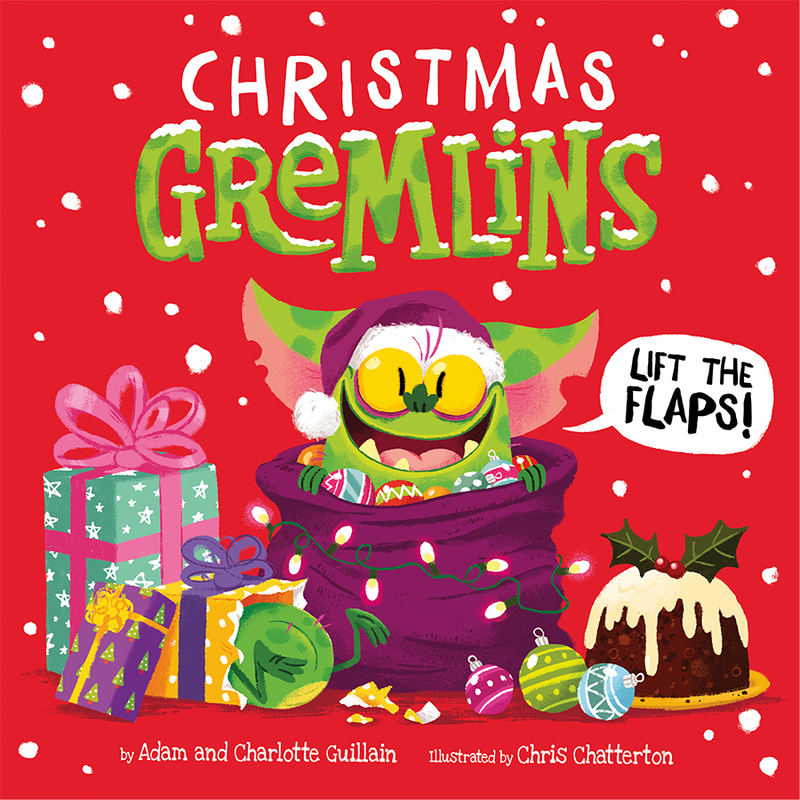 With over 50 flaps to lift, this is the perfect Christmas gift for little gremlins to enjoy over and over again. Children will love spotting all of the cheeky gremlins in this fun and interactive book.